The American Association of Retired Persons (AARP) is not an insurance company. It is a non-profit membership organization for retired persons. So why provide a review for AARP? Retirees have unique insurance needs. Often, they are coming from a work environment where healthcare benefits were provided by employers. These retirees are now faced with the task of finding affordable insurance options. Even though they do not write insurance policies, what AARP does is offer retirees a one-stop shopping option for all their insurance needs. Seniors who need insurance will find that the AARP offers a wide selection of insurance products to members at discounted prices—all placed with top-rated carriers who are financially stable. For anyone over the age of 50 looking for affordable insurance options for retirees, AARP is worth checking out. The AARP has been helping to improve the quality of life for people over the age of 50 since its beginnings. The organization was founded in 1958 by a retired high school principal, Ethel Percy Andrus, in response to the need for affordable health insurance options for retired teachers. AARP has founded coalitions worldwide to promote well-being and quality of life for senior citizens. The organization is one of the largest and most powerful lobbying groups for senior citizens’ interests in the United States. One of its most important services is providing discounts to seniors on consumer goods, prescription drugs, and insurance services. An AARP Press Release reports the organization has nearly 38 million members throughout the United States. Members of AARP can access other benefits such as its many travel discounts and the AARP VISA credit card, which allows members to earn reward points. Membership fees are low at only $16 per year with a free membership for a spouse or partner. If you are in good health, AARP may not offer the least expensive health and life insurance options. 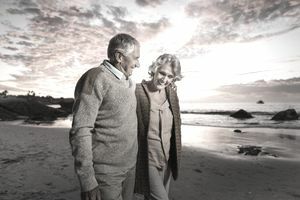 It is likely you can find a comparably-priced - or even cheaper - Health Insurance for Seniors or Life Insurance for Retirees outside of the organization. Other Insurance Products - Members also have the option to purchase long-term care insurance and insurance for motorcycles, boats, and other recreational vehicles. Members who live in Puerto Rico or the U.S. Virgin Island may buy property and casualty insurance products offered through Real Legacy Assurance Company, Inc.
To apply for coverage for AARP's insurance products, you have to become a member. You can complete the AARP membership application online. To contact AARP for more information, you can call toll-free at 888-OUR-AARP (888-687-2277) or email member@aarp.org.